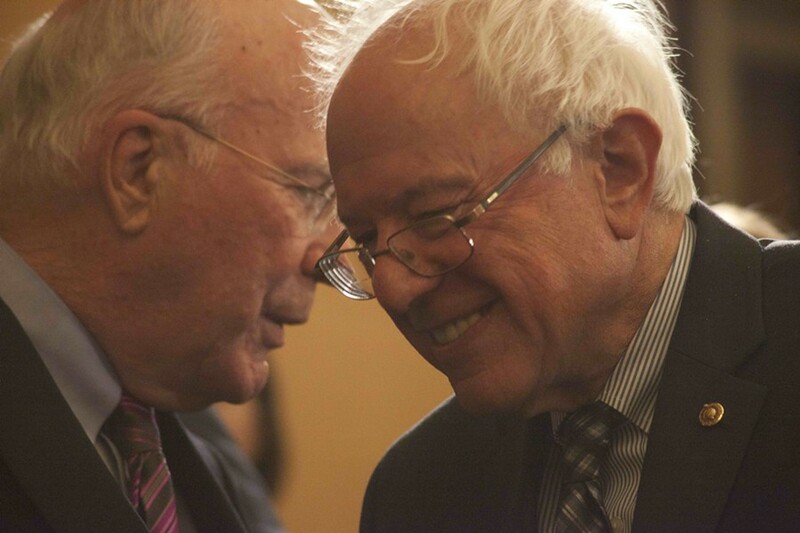 Updated Sunday, February 14 at 11:58 a.m. with more from Leahy and Sanders. Vermont’s two U.S. senators chastised their Republican colleagues Saturday night for suggesting that a successor to the late U.S. Supreme Court Justice Antonin Scalia be appointed by the next president, not the current one. “The Supreme Court of the United States is too important to our democracy for it to be understaffed for partisan reasons,” said Sen. Patrick Leahy (D-Vt.) soon after Scalia, 79, was confirmed dead at a Texas ranch. Sen. Bernie Sanders (I-Vt.), who was campaigning for the presidency in Colorado as the news broke, called it the Senate’s constitutional duty to vote on confirmation. “Let’s get on with it,” he said, according to a top spokesman. Leahy’s and Sanders’ comments came as a deeply partisan fight broke out in Washington, D.C., over whether a president should nominate and the Senate should confirm a new justice in a presidential election year. Senate Majority Leader Mitch McConnell (R-Ky.), Senate Judiciary Committee Chair Chuck Grassley (R-Iowa) and a host of Republican presidential candidates said Saturday that they should not. “They are certainly ignoring history,” Leahy told Seven Days in an interview Sunday morning. Leahy, the ranking member of the Judiciary Committee, noted that the Senate unanimously approved President Ronald Reagan’s appointment of Justice Anthony Kennedy in February 1988 — fewer than nine months before the election to replace Reagan. Leahy has voted on the confirmation of every sitting Supreme Court justice and chaired the Judiciary Committee during the two most recent confirmation fights: President Barack Obama’s appointment of Justices Sonia Sotomayor and Elena Kagan. He lost the gavel in 2015 after Republicans took control of the Senate, but he will likely serve as his party’s spokesman during the looming battle. Speaking Sunday in Vermont, Leahy said he was “glad” that Obama had made clear in a brief address Saturday night that he would nominate a successor in due course. As to Republican complaints that the Senate would not have sufficient time to properly vet a nominee, Leahy suggested that its leaders cancel scheduled recesses in order to “go back and have the hearings and then vote.” He said he suspected McConnell hoped to block such a vote because it could cause political headaches for incumbent Republicans facing reelection campaigns this fall. As Obama addressed Scalia’s death from Southern California, Sanders was speaking to a crowd of roughly 18,000 people at the Colorado Convention Center in Denver, according to spokesman Michael Briggs. Later that night, he and Democratic rival Hillary Clinton weighed in on the matter during a Colorado Democratic Party dinner, also in Denver. Clinton struck a similar tone. “It is outrageous that Republicans in the Senate and on the campaign trail [have] already pledged to block any replacement that President Obama nominates,” the Post reported her as saying. Sanders elaborated on his position Sunday morning on ABC’s “This Week.” He said that voters would not “look kindly on Republican actions to try to thwart what [Obama] is supposed to be able to do.” Sanders repeated his promise that, if elected, he would not nominate to the court anyone “who is not prepared to overturn [the] disastrous” Citizens United decision, which opened up the floodgates to corporate money in politics.